The judicial power of Singapore is vested in the Supreme Court and the State Courts. The Supreme Court is a superior court of record and consists of the High Court, which exercises both original and appellate jurisdiction, and the Court of Appeal, which exercises appellate jurisdiction. As of 1 April 2018, the Supreme Court bench consists of 21 judges (including the chief justice and four judges of appeal), five judicial commissioners, fo senior judges and 15 international judges. The chief justice, judges of appeal and judges of the High Court have tenure until the age of 65, unless further extended by approval of the president. Judicial commissioners are appointed on a short-term contract basis, but enjoy the same powers and immunities as a judge of the High Court during their term. The senior judges and international judges are appointed for a period of three years. The Court of Appeal, which is the highest appellate court in Singapore, hears appeals against decisions made by a judge at the High Court (including the Singapore International Commercial Court (SICC)). Appeals to the Court of Appeal are usually heard by a bench of three judges. Where necessary, the Court of Appeal may comprise five or more judges. Judges of the High Court may sit in the Court of Appeal on such occasion as the chief justice requires. The High Court hears cases at first instance as well as appeals against decisions made by a judge in the State Courts. The High Court also exercises supervisory and revisionary jurisdiction over all State Courts. Unless specified otherwise by any written law, proceedings in the High Court are heard before a single judge. The judges of appeal may also sit in the High Court as a judge. As a superior court of record, the High Court has unlimited original jurisdiction for civil claims. Save for probate matters, the action must be commenced in the High Court where the value of the claim exceeds S$250,000. Probate matters are commenced in the High Court only if the value of the deceased’s estate exceeds S$3 million, or if resealing of a foreign grant is involved. Further, admiralty matters as well as company winding-up and bankruptcy proceedings are exclusively heard by the High Court. Within the High Court, various specialist lists have been set up, including arbitration; tort; intellectual property/information technology; finance, securities, banking and complex commercial cases; and building and construction, shipbuilding, complex and technical cases. Certain judges of the High Court identified as having expertise in these specialised areas of law would generally be assigned to hear matters in the respective areas. The SICC may also hear cases which are transferred from the Singapore High Court. Questions relating to whether the SICC has jurisdiction shall be heard and determined by the SICC. SICC proceedings may be heard by either one or three judges. Within the State Courts, civil claims are handled by the district courts, magistrates’ courts, employment claims tribunals (ECT) and small claims tribunals. Civil claims with a value of up to S$60,000 may be commenced in the magistrates’ courts. From 1 November 2014, a simplified civil procedure, which includes features such as upfront disclosure of documents, limitation on interlocutory applications and early and robust case management, applies to magistrates’ courts proceedings. Civil claims with a value exceeding S$60,000 but not exceeding S$250,000 (or in the case of road traffic accident claims or claims for personal injuries arising out of industrial accidents, the value of the claim exceeds S$60,000 but does not exceed S$500,000) may be commenced in the district courts. However, a district court may have jurisdiction to try an action where the amount in dispute exceeds S$250,000 (or S$500,000, in the case of road traffic accident claims or claims for personal injuries arising out of industrial accidents) if all parties agree. Parties to district court proceedings may by consent adopt the simplified procedure in use for magistrates’ courts actions. The ECT (which commenced operations in April 2017) hears only salary-related (whether statutory or contractual) employment disputes for all employees regardless of their salary level, subject to a claims limit of S$20,000, or if the case has undergone a formal mediation process, S$30,000. Before a claim may be heard by the ECT, parties must undergo compulsory mediation at the Tripartite Alliance for Dispute Management. The proceedings in the ECT are designed to be informal and judge-led, and legal representation is not allowed. The ECT is not bound by the usual rules of evidence and may inform itself on any matter in such manner as it thinks fit. The small claims tribunals were established to allow certain types of low-value claims to be adjudicated expeditiously and with minimal formalities (and costs). As such, parties are not allowed legal representation at the tribunals. The small claims tribunals have jurisdiction to hear claims not exceeding S$10,000, although the jurisdiction can be raised to S$20,000 on consent of all parties in writing. Only certain types of civil claims, such as claims relating to contracts for the sale of goods or provision of services, can be heard by the small claims tribunals. The civil litigation process in Singapore is adversarial in nature, with the parties or their legal representatives presenting evidence and arguments that advance their cases. The judge generally has a passive role as the arbiter of both questions of fact and law, and decides based on the evidence and arguments advanced by the parties to the dispute or on their behalf. Since 1970, the jury system is no longer in use in Singapore. The chief justice, judges of appeal, judicial commissioners and other judges are appointed by the president on the advice of the Prime Minister. Before giving his advice on the appointment of a judge or judicial commissioner, the Prime Minister must consult the chief justice. Among other stringent requirements, the candidate must have been a qualified member of the legal profession for a minimum number of years, depending on the level of appointment. To promote diversity on the bench, candidates are chosen from differing backgrounds ranging from academia to private practice and the public sector. Additionally, the inclusion of international judges in the SICC brings together specialist commercial judges from both civil law and common law traditions. In 2016, Justice Judith Prakash was the first woman to be appointed as a permanent judge of appeal. Limitation periods for civil claims are generally set out in the Limitation Act (Chapter 163). Limitation periods for specific actions or claims (such as those relating to the carriage of goods by sea) are set out in other written law. In general, actions founded on a contract or on tort have to be brought within six years from the date on which the cause of action accrued. Actions upon any judgment shall not be brought after 12 years from the date on which the judgment became enforceable, and no arrears of interest in respect of any judgment debt shall be recovered after six years from the date on which the interest became due. A claim for contribution under section 15 of the Civil Law Act (Chapter 43) shall not be brought after two years from the date on which the right to contribution accrued. Actions to recover land or money secured by mortgage or charge on land or proceeds of the sale of land may not be brought after 12 years from the date on which the right has accrued. Actions for damages for negligence, nuisance or breach of duty may not be brought after six years from the date on which the cause of action accrued or, thereafter, three years from the earliest date on which the claimant first had the knowledge and the right required to bring an action. However, for damages in respect of personal injuries, the time limit to bring an action is three years from the date on which the cause of action accrued or, thereafter, three years from the earliest date on which the claimant had the knowledge required to bring an action for damages in respect of the relevant injury. Actions for negligence, nuisance or breach of duty are also subject to a long-stop limit of 15 years from the date of the act or omission constituting the negligence, nuisance or breach of duty, or that caused the injury or damage. Limitation periods may be extended by fraud of the defendant or his or her agent concealing the right of action, or by a mistake. The periods of limitation may not run until the fraud or mistake has been or ought to have been discovered by the plaintiff. The limitation period may also be suspended where the claimant is under a disability until after the disability has ceased. The Limitation Act must be expressly pleaded as a defence to operate as a bar to an action. The Foreign Limitation Periods Act (Chapter 111A) provides that where the applicable law in an action or proceedings is the law of another country, state or territory, the law of that other country, state or territory relating to limitation shall apply for the purposes of the action or proceedings to the extent that the application does not conflict with public policy. With the exception of personal injury claims (including medical negligence claims) and non-injury motor accident cases in the State Courts, there are no compulsory pre-action protocols to be observed before commencing an action for a civil claim. The pre-action protocol for personal injury claims (excluding medical negligence claims) and for non-injury motor accident cases in the State Courts are similar. Briefly, the State Courts Practice Directions require the claimant to send a letter of claim with full particulars enclosing supporting documents to each potential defendant. The potential defendant is required to send an acknowledgement within 14 days of the receipt of the letter of claim and thereafter, within the applicable prescribed timeline, a substantive response to the letter of claim including any counterclaims. The letter of claim and the responses are not intended to have the effect of pleadings. Certain prescribed information must be contained or followed by the letter of claim, acknowledgement or response, such as a proposed list of medical experts or pre-repair survey of the vehicle, depending on the nature of the claim. After the exchange of information and reports, parties are required to attempt to negotiate a settlement of the claim before commencing action in court. For medical negligence claims in the State Courts and High Court, the State Courts and Supreme Court Practice Directions require the claimant to apply for a medical report by way of a letter setting out briefly the basis of the claim. On receipt of the medical report, the claimant must send a letter to the hospital and each potential doctor-defendant to arrange for a without-prejudice discussion. The hospital and/or doctor must respond within 14 days after receipt of the letter to propose a date and time for the meeting. Generally, if the claimant intends to proceed with a writ, he or she must give 10 clear days’ notice to the potential defendants after the expiry of two months from the date of request for the without-prejudice discussion. Claimants may apply for pre-action discovery/disclosure against potential defendants or third parties for the purpose of identifying possible parties to any proceedings. The court must be convinced that there are good grounds for granting the application, that the defendant to the application has relevant documents in its possession, custody or power, and that discovery was necessary for disposing fairly of the proceedings or for saving costs. The court will not grant an application that it considers frivolous or speculative or amounts to a fishing expedition by the claimant. For SICC proceedings, a party may apply for a pre-action certificate to obtain an early indication from the court on certain matters, for example: whether the claim is of a commercial and international nature; whether the action is an offshore case; and whether there should be confidentiality orders. These matters are relevant to the issue of jurisdiction, foreign representation and application for confidentiality orders respectively. This could save parties time and costs. The pre-action certificate must be exhibited in the court papers within six months after the date of its grant and is conclusive until set aside. There are two modes of commencing civil proceedings: by writ or by originating summons. Where a substantial dispute of fact is likely to arise or where the claimant intends to seek summary judgment, the proceeding should be begun by writ. Where the proceeding is an application made to the court or a judge under any written law, or where the proceeding principally raises issues of the construction of any written law or of any document or some question of law, or in which there is unlikely to be any substantial dispute of fact, it may be begun by originating summons. Originating processes (whether writ or originating summons) must be served personally on the defendants by the plaintiffs. For individuals within Singapore, personal service is effected by delivering a sealed copy of the originating process to the person to be served. For a company incorporated in Singapore, this is usually accomplished by leaving a sealed copy of the originating process at the registered office. Alternatively, for any body corporate (whether Singapore-incorporated or not), the originating process may be served personally on the officers of the company (such as the chairman or president of the corporation). Where personal service is impracticable, an application may be made to court for substituted service, such as by way of a notice to be published in a newspaper with national circulation, or by posting on the entrance to the defendant’s last known place of residence or some other manner as the court may direct (including by electronic mail or internet transmission). For defendants outside Singapore, an application must be made to the court for leave to serve the originating process outside Singapore. If leave is granted, service may be effected in the same manner as personal or substituted service in Singapore. Alternatively, service may be effected in any manner that is in accordance with the law of the country in which service is to be effected, or through the assistance of foreign governments, judicial authorities or the Singapore consular authority in that country. Service of originating processes may also be effected by any manner that is agreed between the parties, such as by service on a designated local process service agent specified in a contract signed by the parties. If a defendant’s solicitor endorses on the originating process that he or she accepts service on behalf of the defendant, it is deemed served on the defendant. The courts generally do not face capacity issues impacting their ability to handle disputes in a timely manner. To enhance the effectiveness and efficiency of the judicial processes, the courts continually optimise resources through a multi-prong strategy, including the promotion of greater use of alternative dispute resolution, active case management at pre-trial conferences and deployment of technology. In 2016, the Courts of the Future Taskforce, which was set up to study and identify technological opportunities that will help the judiciary better anticipate and meet the future needs of court users, submitted its final report, and funding is now being sought to bring the proposed plans to fruition. In addition, by 2020, the current number of courtrooms is expected to increase by 50 per cent with the completion of the construction of the new State Courts Tower, to enhance capacity. Writs and originating summons (the two forms of originating processes) are valid for six months from the date of issue unless leave to serve the writ or originating summons out of the jurisdiction is required under the Rules of Court, in which case the writ or originating summons is valid for 12 months from the date of issue. If a writ or originating summons is unable to be served within the initial validity period, the validity period may be further extended by an application to the court. Originating processes must be served on the defendant personally unless the court orders substituted service. Upon being served with a writ, the defendant must file a memorandum of appearance if he or she wishes to contest the claim. The memorandum must be filed within eight days of the date of service if the writ was served within the jurisdiction, or within 21 days of the date of service if the writ was served out of the jurisdiction. If a statement of claim was not endorsed with the writ, the claimant must serve the statement of claim within 14 days of the entry of appearance. The defendant has 14 days after the service of the statement of claim or the time limited for appearance, whichever is later, to enter a defence. The claimant may file a reply to the defence within 14 days of receiving the defence. Pre-trial conferences are regularly scheduled for the court to keep track of the progress of proceedings and to give directions for its efficient conduct including directions for discovery (the disclosure and exchange of documentary evidence) and exchange of affidavits of evidence-in-chief (written witness statements). The first pre-trial conference is generally held within 10 weeks of the date of issue of the originating process. Once discovery has been completed and the affidavits of evidence-in-chief have been exchanged, the matter may be set down for trial, and the trial will generally start within eight weeks of setting down. Depending on the complexity of the matter and other factors such as the location of parties, evidence and witnesses, a matter may proceed to trial as soon as six months from the date of issue of originating process, but more often between 12 and 18 months, and rarely beyond. No appearance is necessary for proceedings commenced by way of originating summons. If a supporting affidavit was not served together with the originating summons, it must be served on the defendant within seven days after service of the originating summons. If the defendant wishes to adduce evidence at the hearing of the originating summons, he or she must do so by affidavit served on the claimant not later than 21 days after being served with the claimant’s supporting affidavit. The originating summons will generally be scheduled for hearing about six weeks from the date of issue of the originating summons. The procedure and timetable for civil proceedings are generally set out in the Rules of Court and controlled by the courts. However, parties have the opportunity to make proposals for the court’s consideration during the regular pre-trial conferences. The court has wide powers to depart from the procedure and timetable set out in the Rules of Court in the interests of justice and the efficient conduct of proceedings. documents that could adversely affect his or her own case, adversely affect another party’s case or support another party’s case. The duty to provide discovery of documents falling within the ambit of any order for discovery continues during the course of the proceedings until its conclusion. Singapore has also incorporated electronic discovery into its civil procedure framework, representing legislative and judicial recognition that discovery, disclosure and document production processes should be refined and improved in tandem with technological developments. the nature of the case and complexity of the issues. Parties in SICC proceedings need only produce documents on which they will rely. A party may also serve a request on any person (regardless of whether such person is a party to the proceedings) to produce specific documents, and if the requested person objects to this, the requesting party may apply to the SICC for an order to produce the documents sought. The Evidence Act (Chapter 97) provides that communications between an advocate or solicitor and his or her client made in the course and for the purpose of his or her employment as advocate or solicitor may not be disclosed without the client’s express consent. The Evidence Act makes clear that this duty extends to a legal counsel in an entity. However, the duty of non-disclosure does not extend to any communication made in furtherance of any illegal purpose or any fact observed showing that any crime or fraud has been committed since the commencement of the employment. In addition, the common law principles of litigation privilege and the privilege attaching to without-prejudice communications continue to apply under Singapore law insofar as they are not inconsistent with the Evidence Act. Litigation privilege protects from disclosure at discovery any documents created when litigation is reasonably contemplated and for the predominant purpose of litigation. Without-prejudice communications privilege protects communications made in the course of genuine negotiations to resolve disputes. Under the rules governing SICC proceedings, if all parties agree that any rule of evidence in Singapore law shall not apply and such other rules of evidence (if any) whether found in foreign law or otherwise shall apply instead, a party may apply to the SICC to make an order to that effect. Examples of substantive rules of evidence under Singapore law that parties may agree to disapply include rules relating to privilege. Evidence-in-chief to be given by a witness at a trial, including expert witnesses, must be given by way of an affidavit prepared in advance and exchanged with all other parties unless otherwise provided in any written law or ordered by the court. However, parties may also subpoena witnesses to testify at trial, and in such cases, the evidence-in-chief of the witness answering a subpoena would be given by oral testimony. Witnesses may also be subpoenaed to produce documents. For expert witnesses, the court may direct that the experts for the parties meet in advance of the trial for discussions aimed at identifying the issues in the proceedings and, where possible, reach an agreement on the same. The contents of the discussions between the experts may not be referred to at the trial unless the parties agree, and the parties are not bound by any agreement on an issue between the experts unless they expressly agree to be so bound. Under the rules governing SICC proceedings, if all parties agree that any rule of evidence in Singapore law shall not apply and such other rules of evidence (if any) whether found in foreign law or otherwise shall apply instead, a party may apply to the SICC to make an order to that effect. The affidavit of evidence-in-chief of each witness that has been prepared and exchanged before trial is only received into evidence if the witness attends the trial for cross-examination. If a witness is not presented for cross-examination, the affidavit may not be accepted as evidence for the trial without leave of court. Witnesses subpoenaed to testify at trial would give their evidence orally. Witnesses may also be subpoenaed to produce documents without the obligation to attend court personally. Witnesses and experts may not give oral evidence-in-chief at the trial except in relation to matters that have arisen after his or her affidavit of evidence-in-chief was filed or if the court otherwise orders. Evidence in cross-examination is given orally at trial. Under the rules governing SICC proceedings, if all parties agree that any rule of evidence in Singapore law shall not apply and such other rules of evidence (if any) whether found in foreign law or otherwise shall apply instead, a party may apply to the SICC to make an order to that effect. Examples of substantive rules of evidence under Singapore law which parties may agree to disapply include rules relating to the examination of witnesses. interim payments for a proportion of the damages claimed or debt owed. Where the claimant has applied for summary judgment, the court may give the defendant leave to defend the claim subject to conditions, including the provision of security for the claim as well as costs and interest. The High Court may make orders for interim remedies in support of international arbitrations irrespective of whether the place of arbitration is in Singapore under section 12A of the International Arbitration Act (Chapter 143A). declaration: a pronouncement by the court of the legal positions between parties. Judgment debts carry interest at a rate set out in the Rules of Court. In addition, the court may also award pre-judgment interest up to the date of the writ, as well as contractual interest. examination of the judgment debtor to discover information about his or her property, assets and debts to aid in enforcement. Failure to comply with an order of court may amount to contempt of court, and may be punished by sequestration of assets or committal. Further, the court may order that acts required to be performed by an order of court be performed by another party or by a person appointed by the court at the cost of the party in default. The general rule is that actions by writ are adjudicated by a single judge in open court. Originating summonses, on the other hand, are usually heard in chambers. Proceedings may be held in camera where it is expedient in the interests of justice, public safety or propriety, or some other sufficient reason exists to do so. Court users can apply to inspect files and court documents that have been made public. Litigants can inspect their own case files and request for copies of court documents. A non-party may inspect a case file with leave of court upon filing a request stating his or her interest in the matter. Details of all originating processes, writs of execution and distress and appeals to the Court of Appeal are available to the public without leave of court. To prevent an inspection of a case file by a non-party to the case file, an application to seal the case file or court documents or both may be made according to applicable rules and procedures. Such applications will be heard by a High Court judge who may grant the order with or without conditions. The court has full discretion to order costs, whether in principle or amount. In general, successful parties in civil proceedings will be awarded their costs of the action. Courts may also make costs orders against non-parties, such as a director found to be the directing mind of a company that is a party to the proceedings. Costs guidelines for costs awards in the Supreme Court may be found in the Supreme Court Practice Directions. From 1 October 2016, the rules have been amended to enable the court to fix costs when approving settlements involving infants or persons under disability. Costs may be agreed between parties, failing which it may be assessed by the court through the process of taxation. Party-to-party costs - the costs payable by one party to the other - are usually assessed on a standard basis, where any doubt as to the costs incurred would be resolved in favour of the party paying costs. However, where special reasons exist, such as where a successful claimant obtains a judgment that is better than an offer to settle made by him or her to the defendant earlier in the proceedings, the court may order that costs be assessed on an indemnity basis - where any doubt as to the costs incurred would be resolved in favour of the party receiving costs. A claimant may be ordered to provide security for costs in civil proceedings if he or she is ordinarily resident out of the jurisdiction; if he or she is suing as a nominal plaintiff for the benefit of some other person and there is reason to believe that he or she will be unable to pay the costs of the defendant; or if he or she has misstated or omitted his or her address in the writ or changed address during the course of proceedings with a view to evading the consequences of the litigation. If the claimant is a corporation, under the Companies Act the court may require sufficient security to be given when there is reason to believe that the company will be unable to pay the costs of a successful defendant. Ultimately, in deciding whether it is just that an order for security for costs be granted, the court has to examine all the circumstances of the case. Contingency fee arrangements such as ‘no win, no fee’ agreements are prohibited under professional conduct rules. However, based on recent case law, there may be a limited carve-out from the prohibition where a lawyer acts for an impecunious client knowing that he would likely only be able to recover his or her appropriate fees or disbursements if the client succeeds in the claim or obtains a costs order against the other party. An agreement for the funding of litigation by a third party who has no interest in the proceedings or an agreement where the third party funding the litigation shares in the proceeds from the claim may constitute ‘maintenance’ or ‘champerty’ respectively, and save for permitted categories, are illegal, contrary to public policy and unenforceable. From 1 March 2017, Singapore law allows third-party funding in court proceedings (such as jurisdictional challenges, applications to set aside arbitral awards or for stay of court proceedings) and mediation proceedings related to international arbitration proceedings provided, among other things, the third-party funder meets certain prescribed criteria. Maintenance or champerty may also be permitted in appropriate circumstances in the context of insolvency. For example, the court has recently approved a funding arrangement to pursue existing litigation for the benefit of a company in liquidation and held that the doctrine of maintenance and champerty had no application to the exercise of the statutory power of sale under section 272(2)(c) of the Companies Act (Chapter 50). Litigation may also be state-funded if a party is financially eligible for legal aid rendered by the Legal Aid Bureau, which is part of the Ministry of Law. After the event (ATE) insurance is available in Singapore. ATE insurance covers the costs incurred in defending or pursuing litigation and may be purchased after a legal dispute has arisen. Singapore does not have a broad process for class action. Representative action is the only form of group litigation in Singapore, and is provided for under Order 15, Rule 12 of the Rules of Court. There have not been any recent developments in Singapore regarding class actions. A representative action may be brought where the represented group consists of ‘numerous persons’ who have the ‘same interest’ in the proceedings unless the court orders otherwise. Further, a representative action is usually only appropriate where the number of interested persons is too large for them to be joined as parties to a non-representative action. Specific legislative provisions may provide for particular types of representative actions. One example is section 85 of the Building Maintenance and Strata Management Act (Chapter 30C), which enables a management corporation to bring or defend proceedings on behalf of the subsidiary proprietors of a development. Parties may appeal against findings of both fact and law. However, an appellate court would be slow to reverse findings of fact and will do so only if the findings are plainly wrong or against the weight of the evidence. The Court of Appeal, as the highest appellate court, hears appeals from any judgment or order of the High Court (including the SICC). The High Court hears appeals from a decision or order made by a district judge or magistrate in the State Courts (including the small claims tribunal and ECT). A party may not always have a right of appeal. An appeal may lie as a matter of right (with or without the leave of court), or there may be no right of appeal at all. Whether an appeal may be brought depends on a number of factors, such as the quantum of the claim, the specific issue that was decided or the type of order that was made. For example, no right of appeal lies to the Court of Appeal where a judge makes an order giving unconditional leave to defend an action or setting aside unconditionally a default judgment, or an order refusing to strike out an action, a pleading or part of a pleading. For SICC proceedings, parties may contractually exclude or limit the right of appeal against a judgment or order of the SICC. A foreign judgment may be recognised and enforced under the Reciprocal Enforcement of Commonwealth Judgments Act (Chapter 264) (RECJA), the Reciprocal Enforcement of Foreign Judgments Act (Chapter 265) (REFJA) or the Choice of Courts Agreements Act 2016 (No. 14 of 2016) (CCAA), or enforced under the common law by way of commencing an action on the judgment itself. The RECJA and REFJA applies only to judgments from the gazetted countries under the respective legislation. Under the RECJA and REFJA, a foreign judgment can generally be registered if it is final and conclusive between the parties, is for a sum of money and applicable procedural requirements are complied with. A foreign judgment may be enforced as if it were a judgment of the Singapore courts only after it has been registered. Enforcement of a foreign judgment under the RECJA, REFJA or common law may not be allowed in certain circumstances, for example where the foreign judgment has been obtained by fraud or in breach of principles of natural justice. The CCAA was enacted to implement the Hague Convention of 30 June 2005 on Choice of Court Agreements (the Convention) and came into force on 1 October 2016. The CCAA applies to judgments given in international civil or commercial cases where there is an exclusive choice of court agreement that designates a court of a contracting state to the Convention. However, it does not apply to any interim judgments or where the exclusive choice of court agreement was concluded before the Convention entered into force in that contracting state. Under the CCAA, judgments given by a court of a contracting state to the Convention (other than Singapore) will be recognised and enforced if it has effect and is enforceable in the state in which the judgment originated. However, there are certain mandatory and discretionary grounds for refusing recognition or enforcement. For example, it is mandatory to refuse recognition or enforcement of a foreign judgment obtained by fraud in connection with a matter of procedure. The procedure to get an order for evidence to be obtained in Singapore for use in proceedings in another jurisdiction is governed by the Evidence (Civil Proceedings in Other Jurisdictions) Act (Chapter 98) and Order 66 of the Rules of Court. An application must be made to the High Court supported by affidavit exhibiting a letter of request issued by or on behalf of a court or tribunal exercising jurisdiction in a country or territory outside Singapore. taking and testing of blood samples. The deposition of the witness will be sent to the registrar, who will send the deposition together with a certificate sealed with the seal of the Supreme Court, to the foreign court or tribunal. In Singapore, both the Arbitration Act (Chapter 10) (AA) and the International Arbitration Act (Chapter 143A) (IAA) form part of the arbitration law. Domestic arbitrations are generally governed by the AA, unless parties agree that the IAA or the UNCITRAL Model Law on International Commercial Arbitration (the UNCITRAL Model Law) shall apply instead. International arbitrations are generally governed by the IAA, unless parties agree that the AA shall apply instead. The IAA is largely based on the UNCITRAL Model Law and gives effect to the Convention on the Recognition and Enforcement of Foreign Arbitral Awards (the New York Convention). Under the AA and the IAA, an arbitration agreement means an agreement by the parties to submit to arbitration all or certain disputes that have arisen or that may arise between them in respect of a defined legal relationship. An arbitration agreement may be in the form of a separate agreement or an arbitration clause in a contract. To be enforceable, it must be in writing, in that its content must be recorded in any form, including electronic communications. Under both the AA and the IAA, in the absence of agreement between the parties, there shall be a single arbitrator. If the parties cannot agree on the arbitrator, the arbitrator shall be appointed by the President of the Court of Arbitration of the Singapore International Arbitration Centre (SIAC). The appointment of an arbitrator may only be challenged on the grounds set out in the AA and the IAA - that is, such challenge is limited to circumstances giving rise to justifiable doubts as to the impartiality or independence of the arbitrator, or his or her possession of the qualifications agreed to by the parties. For arbitrations administered by the SIAC, parties are free to choose arbitrators of their choice, whether or not from the SIAC panel of arbitrators. Nonetheless, the SIAC maintains a panel of arbitrators well adept in meeting the needs of complex arbitration for parties’ selection. The panel of arbitrators comprises experienced, qualified and distinguished arbitrators from over 40 jurisdictions, including professionals from both legal and non-legal backgrounds such as engineers, quantity surveyors and master mariners. The SIAC also maintains a specialist panel of arbitrators for intellectual property disputes. The AA and the IAA allow parties and the arbitral tribunal wide discretion to decide on the procedure to be followed for the arbitration. However, both statutes contemplate the exchange of statements of claim and defences and provide that parties must be given sufficient advance notice of any hearings or meetings of the arbitral tribunal, and that all statements, documents or other information supplied by one party to the arbitral tribunal must also be supplied to the other party, and that any expert report or evidentiary document which the arbitral tribunal may rely on in making its decision shall be communicated to the parties. During an arbitration, the powers of the court are generally exercised in support of the arbitration, and with the agreement of the parties or the permission of the arbitral tribunal. The court may also be asked to decide the question of whether the arbitral tribunal has jurisdiction to hear the arbitration following a decision on the question by the arbitral tribunal. Arbitrators under both the AA and the IAA have powers to make orders for the provision of security for costs, the preservation and interim custody of any evidence, and the preservation, interim custody or sale of any property that is or forms part of the subject matter of the dispute. In addition, the IAA also gives the arbitral tribunal the power to order security of the amount in dispute, or to make orders for ensuring that any award that may be made is not rendered ineffectual by the dissipation of assets and for any interim injunction or other interim measure. Subject to the agreement of parties and any written law, there is no specified time frame for when an award must be rendered. For example, the SIAC Arbitration Rules 2016 provide that for emergency arbitrations, the emergency arbitrator must make his or her interim order or award within 14 days from the date of his or her appointment, unless, in exceptional circumstances, an extension of time is granted, and for non-emergency arbitrations, the tribunal must submit the draft award to the registrar not later than 45 days from the date on which proceedings closed. An award under the AA and the IAA must be in writing and signed by the arbitrator or a majority of the arbitrators (provided that the reason for any omitted signature of any arbitrator is stated), and must set out the date of the award and place of arbitration and, unless the parties have agreed to dispense with such, the reasons upon which the award is based. it is just and proper for the court to determine the question. However, parties may exclude the court’s jurisdiction to hear appeals by agreeing to dispense with the reasons for the arbitral tribunal’s award. Under the IAA, there is no right of appeal against an arbitral award. the subject matter of the dispute was not arbitrable, or the award is contrary to public policy. Under the AA and IAA, a party may apply to the court for leave to enforce an award in the same manner as a judgment or order of court to the same effect. To give effect to the New York Convention, to which Singapore is a party, provisions governing the enforcement of foreign awards from other countries which are parties to the New York Convention have been incorporated into the IAA. Singapore’s political landscape has been relatively stable and its pro-arbitration and pro-enforcement stance enables parties to enforce an arbitral award relatively swiftly and with more success. Subject to the agreement of the parties, the arbitral tribunal may order costs against a party to the arbitration proceedings. In general, the successful party will be awarded his or her costs of the arbitration. Failing an agreement between the parties on any costs ordered or the fixing of costs by the arbitral tribunal, costs of an arbitration subject to the AA shall be taxed by the court and costs of an arbitration subject to the IAA shall be taxed by the SIAC. Under the SIAC Rules 2016, which came into force on 1 August 2016, the costs of the arbitration include, among other things, the tribunal’s fees and expenses, the SIAC’s administrative fees and expenses, and the costs of any expert appointed by the tribunal. The tribunal may take into account any third-party funding arrangements in apportioning the costs of the arbitration. Aside from arbitration, other types of ADR include mediation, negotiation, neutral evaluation (where a neutral third party reviews the case and provides an early assessment of the merits of the case) and lay adjudication. ADR is widely accessible in Singapore, and the most popular form of ADR is mediation. The State Courts Centre for Dispute Resolution consolidates different ADR services for individuals who have pending matters in the State Courts under one umbrella. While ADR services under the State Courts generally remain free, a fee of S$250 is payable by each party for district court cases (excluding non-injury motor accident, death or personal injury or protection from harassment claims). In certain industries, adjudication is becoming very popular or even mandatory. In the building and construction industry, the Building and Construction Industry Security of Payment Act (Chapter 30B) provides for an adjudication process for payment disputes within the industry. For the financial services industry, the Financial Industry Disputes Resolution Centre (FIDReC) has been set up as an affordable and accessible avenue for consumers to resolve their disputes with financial institutions. From 3 January 2017, the jurisdiction of FIDReC has been increased to up to S$100,000 per claim between consumers and financial institutions. The decision of the adjudicator is final and binding upon the financial institution but not on the consumer. 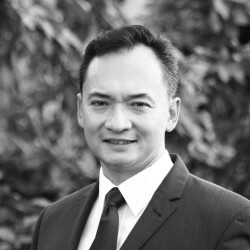 In addition, the Singapore International Mediation Centre (SIMC) provides world-class mediation services targeted at mediating international commercial disputes with a panel of internationally respected mediators. SIMC offers an innovative process of ‘Arb-Med-Arb’ under the Arb-Med-Arb Protocol between the SIAC and SIMC, whereby a dispute is referred to arbitration before mediation is attempted. If the parties are able to settle their dispute through mediation, their mediated settlement may be recorded as a consent award, which is generally accepted as an arbitral award, and, subject to any local legislation or requirements, is generally enforceable in approximately 150 countries under the New York Convention. If the parties are unable to settle their dispute through mediation, they may continue with the arbitration proceedings. For domestic commercial disputes, the Singapore Mediation Centre (SMC) is a not-for-profit organisation that provides commercial mediation services. The SMC’s panel of mediators mostly comprises domestic mediators. While most of the disputes that the SMC handles are construction disputes, the SMC also deals with banking, contractual, corporate, employment, information technology, insurance, partnership, shipping and tenancy disagreements. The Law Society Mediation Scheme was officially launched on 10 March 2017 and its mediation services are available for all types of civil disputes without monetary limit on the value of a dispute. All parties must agree to the mediation, and legal representation is not required under the scheme. The rules are designed to make processes flexible and quick; for example, a mediation is deemed to conclude when no mediation settlement agreement is signed by the parties within 30 calendar days of commencement of the mediation. To further promote mediation in Singapore, the Mediation Act (MA) was introduced in 2017. The MA applies to mediations conducted partly or wholly in Singapore, or where the mediation agreement stipulates that Singapore law applies. It aims to promote, encourage and facilitate the resolution of disputes by mediation, and includes, among other things, provisions aimed at making settlements more enforceable, by allowing parties who reach a settlement after mediation to agree to apply for the settlement to be recorded as a court order, which can be immediately enforced. The State Courts Practice Directions raise a ‘presumption of ADR’ in all civil claims before the State Courts to encourage ADR as the first choice in the resolution of disputes. The court’s ADR process (involving mainly mediation and neutral evaluation) is compulsory in cases of non-injury motor accident, personal injury and medical negligence claims (see question 4). For the category of magistrates’ court cases to which the simplified procedure applies, the court may refer the case for ADR with the parties’ consent or where the court is of the view that doing so would facilitate the resolution of the dispute between the parties. Cases that do not fall under such category will automatically be referred for ADR unless any or all of the parties chooses to opt out of ADR. The court may take into account a party’s refusal of ADR when making subsequent costs orders. For Supreme Court cases, the Supreme Court Practice Directions provide that a party who wishes to attempt ADR should file and serve on all relevant parties an ADR offer. Within 14 days after service of the ADR offer, the relevant parties should file and serve a response to the ADR offer. The court may take into consideration the ADR offer and the response thereto when making subsequent costs orders. The Supreme Court Practice Directions also state that it is the professional duty of solicitors to advise their clients about ADR and provide guidelines on the same. Singapore offers a complete suite of dispute resolution services, namely, litigation, arbitration and mediation for disputes both domestic and international. The Singapore judicial system has been consistently rated as one of the most independent and efficient in the world, particularly for the resolution of civil disputes. The country’s situation on one of the major trade routes of the world, as well as its long history of an open economy, have given its judiciary a highly international perspective. There are proposals for dispute resolution reform in the State Courts. In a keynote address at the State Courts Workplan Seminar on 9 March 2018, the presiding judge of the State Courts outlined several new initiatives aimed at refining the court processes. These initiatives include ‘documents-only’ civil trials and assessments of damages, defamation-related initiatives and the additional dispute resolution tool of conciliation. A six-month pilot programme for the conduct of ‘documents-only’ civil trials and assessments of damages was launched in December 2017. In such hearings, the final determination of designated cases will be conducted entirely on the basis of evidence tendered by way of affidavit of evidence-in-chief, documents and/or written submissions. Parties can also make oral submissions in support of their case. The ‘documents-only’ mode of proceedings is intended to be an additional adjudication option for parties that consent to its use and is envisaged to lead to time and costs savings for all parties as witnesses will not need to attend hearings. The State Courts have rolled out initiatives relating to defamation actions in view of the rise in the number of defamation writs filed in civil courts. A pre-action defamation protocol, targeted for implementation at the end of 2018, will require parties to use standard forms for claims and responses, and exchange documents and offers to settle as well as explore ADR before the writ is filed. In addition, a practitioner’s guide to the assessment of damages in defamation actions, the first local publication that tracks past awards in reported and unreported defamation cases in the Supreme Court and the State Courts from 2006, will be published to guide potential litigants in assessing if a case should be commenced. To further promote ADR, the State Courts Centre for Dispute Resolution intends to identify appropriate cases where the use of conciliation may be adopted. In conciliation, the judge-led conciliator is a neutral party who will direct parties towards a satisfactory agreement by developing and proposing solutions to resolve the matter. There will be a pilot programme involving the use of conciliation in 2018, and this mode of ADR will be further considered after assessing the outcome of the pilot. Braddell Brothers LLP is Singapore’s third-oldest law practice, founded in 1883 by the sons of Sir Thomas Braddell, the first Attorney-General of Singapore.